Abbey Ward councillors, using a small fund called the local area budget, have purchased 50 personal attack alarms which the police will be allocating to women who feel vulnerable when walking the streets alone. 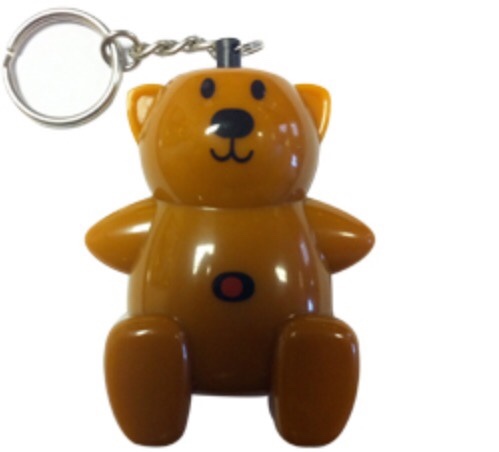 The alarms are small, and appropriately shaped like a bear, and can be attached to a key ring. They will be issued by the police following a referral by the Ward councillors. In order to get one, on a first come first served basis, send your name and address (Abbey Ward residents only) to bearwoodblog@gmail.com and we'll arrange to drop one off. Yes please for my wife. 2 Marlborough Road Smethwick Bearwood B664DW.